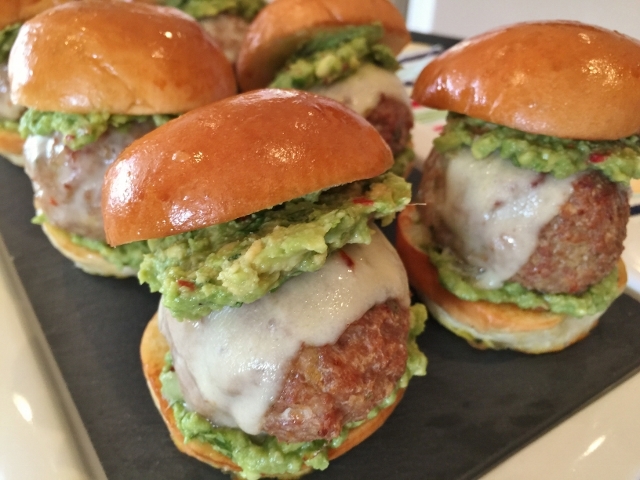 Mexican Turkey Meatball Sliders - Recipe! - Live. Love. Laugh. Food. Mexican food ranks high on my list of favorite food, just second to French cuisine. I love the earthy spices that are used in Mexican food and the cheesy goodness that is usually accompanied with each bite. Mexican food can come in many forms and sometimes it tastes like an American dish, just with a little Hispanic flair. 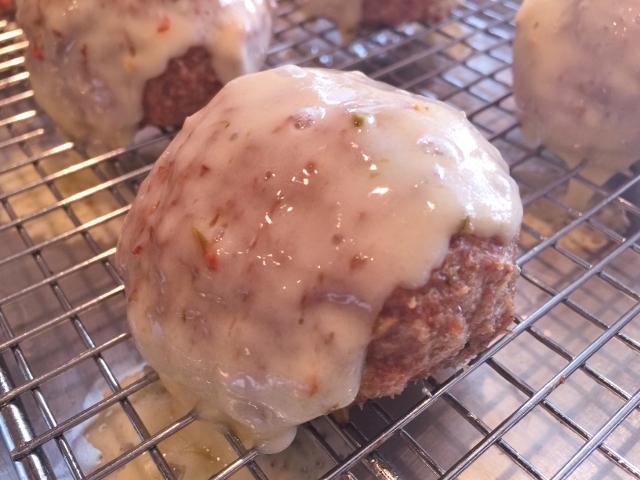 Meatballs are very popular and can be eaten on top of spaghetti, veggies or on a bun, like in this recipe for Mexican Turkey Meatball Sliders. 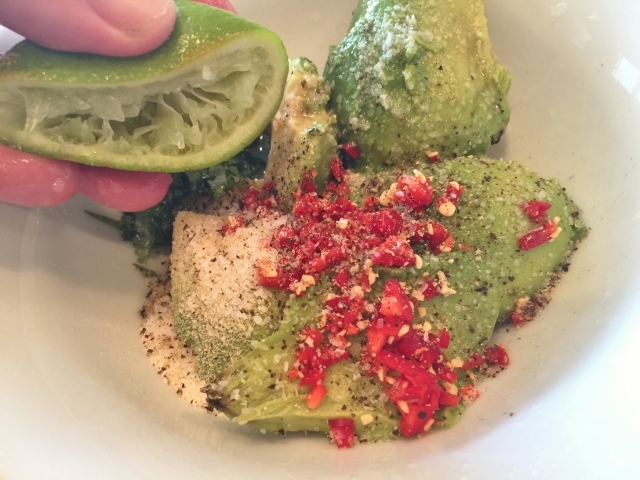 The soft poultry is seasoned beautifully and the smooth avocado mash just melts over the top – the combination of the two completely excites me. 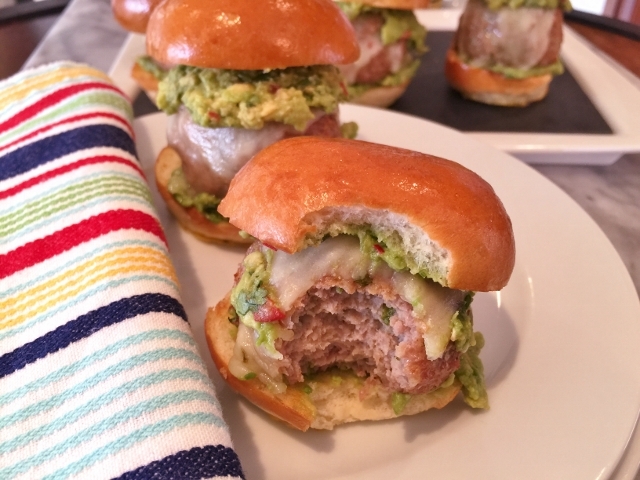 These sliders are easy to prepare and you can serve them for parties, game day or just as a fun family dinner. They are the perfect finger food because you can watch a game on television or have a conversation, and still enjoy. 1. Preheat oven to 375 degrees. 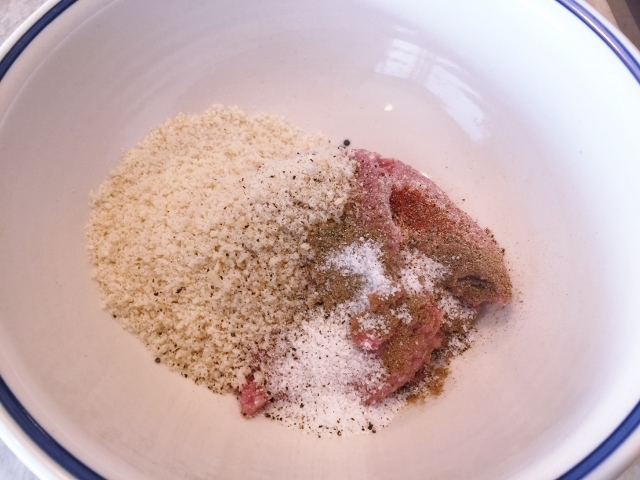 In a bowl, combine ground turkey, bread crumbs, cumin, coriander, onion powder, salt and pepper. Using a large box grater, grate the onion and add it and the egg to turkey mixture. 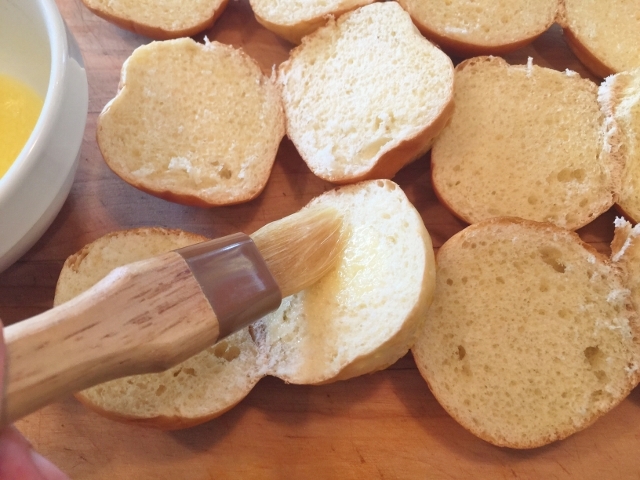 Gently fold the ingredients together using your hands. 2. 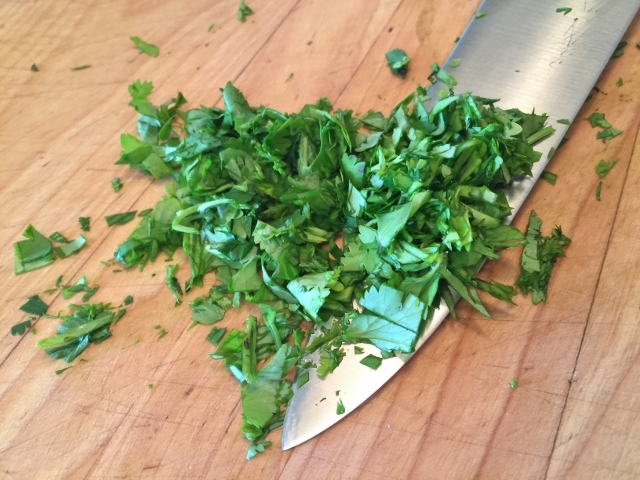 Rough chop fresh cilantro leaves and add all, but 1 tablespoon to turkey mixture. The reserved cilantro will go in the avocado mash. 3. 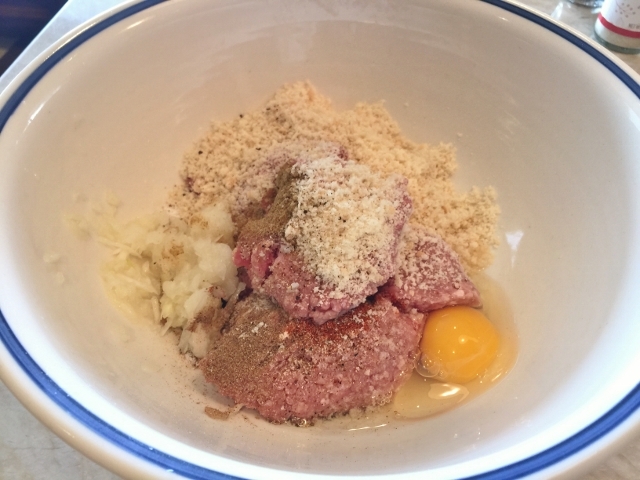 Form the turkey mixture into 6 balls, slightly larger than golf balls. Place them on a sheetpan lined with a rack, sprayed with cooking oil. 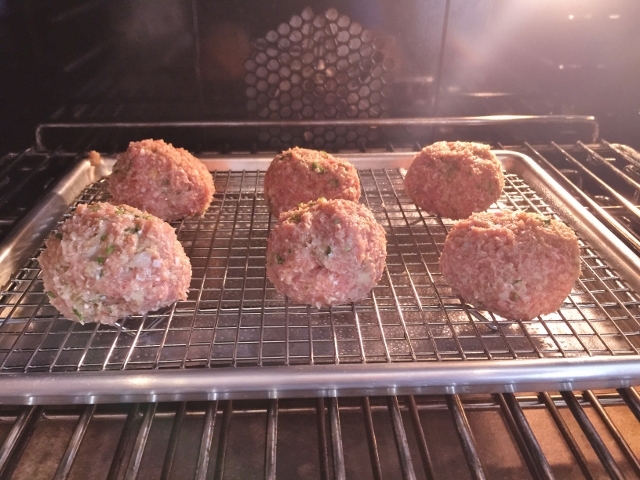 Bake the meatballs in the oven for 30 minutes. 4. 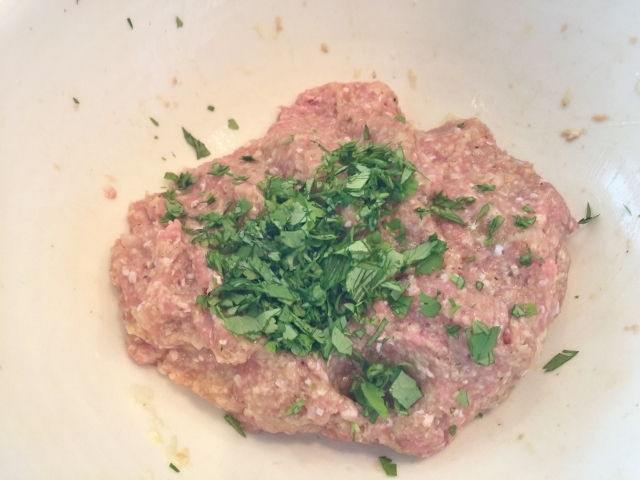 While the meatballs are cooking prepare the Avocado Mash. 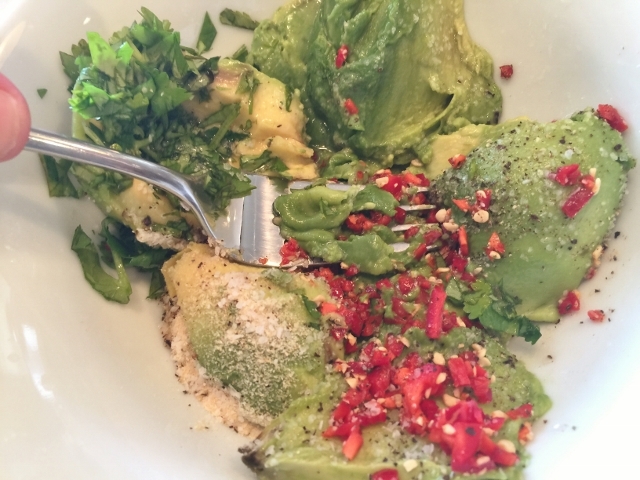 In a small bowl, combine avocados, diced jalapeno, onion powder, salt, pepper and reserved cilantro leaves. Squeeze in juice of 1/2 a lime and mash with a fork to combine. You want to consistency to be similar to oatmeal, not completely smooth. 5. 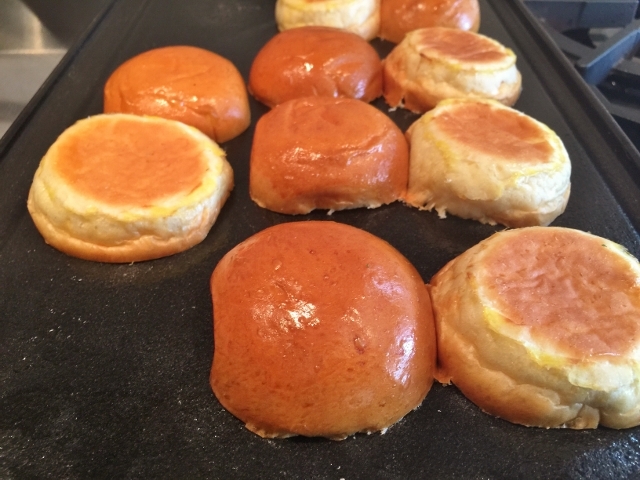 Prepare slider buns by cutting them in half and brushing them with melted butter. 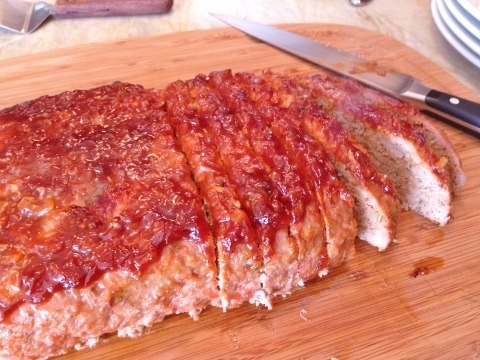 Toast them on a stove top grill pan or in a skillet over medium heat, until lightly golden brown. 6. 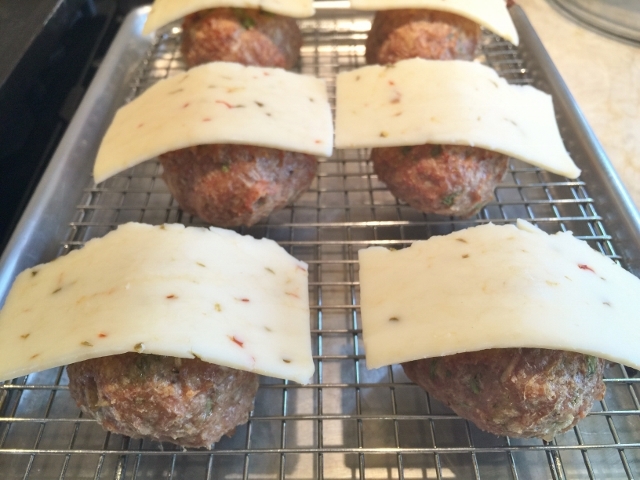 When the meatballs are done, remove them from the oven and place 1/2 slice of pepper jack on top of each meatballs. Put them back in the oven for 3-4 minutes, just until the cheese is melted. 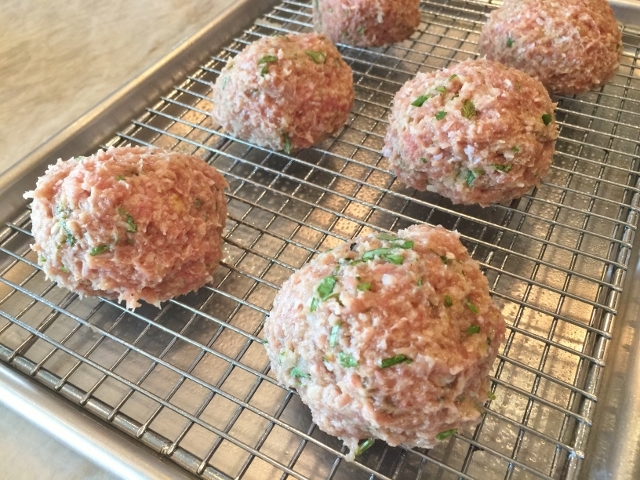 Remove the meatballs from the oven. 7. 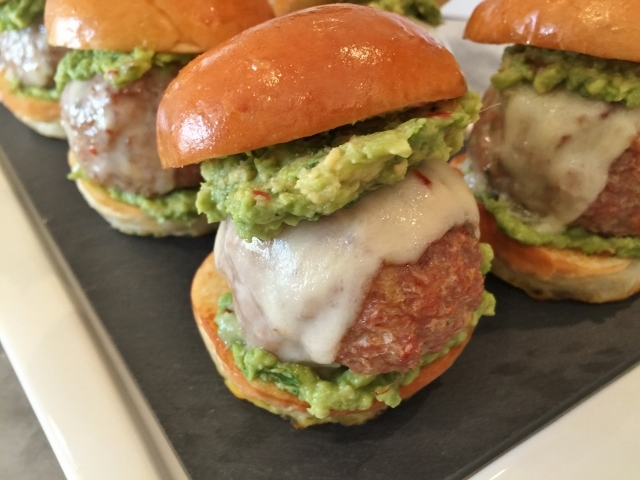 To assemble, spread 1 teaspoon of avocado mash on each side of each bun and place 1 meatball on each half bun and the other half bun on top. Serve with your favorite Mexican beer, enjoy! 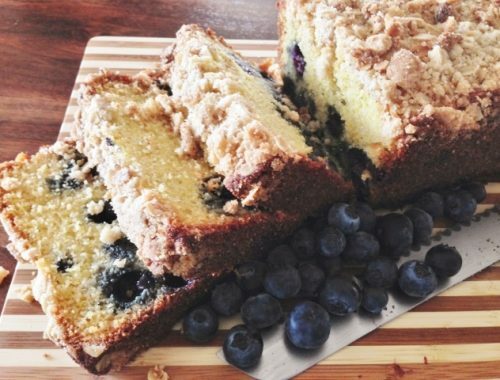 Blueberry Cornmeal Breakfast Cake – Recipe! Gluten-Free! 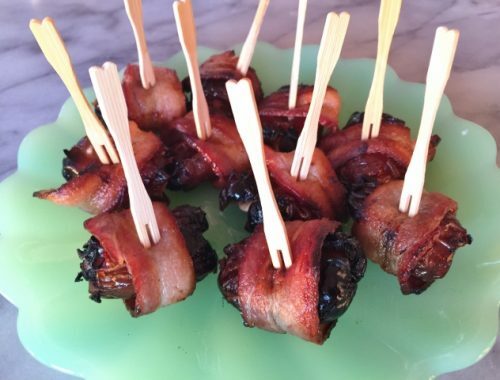 Almond Stuffed Bacon Wrapped Dates – Recipe!